Your Kitchen, isn’t like the spare bedroom. You use your Kitchen Every day. From school lunches, to spaghetti bolognaise all over the bench. Our Kitchens see the worst of it, so it is important to invest in a quality kitchen. Kitchens come in all different sizes, layouts, styles and colours and most importantly qualities. Let us help design a kitchen to truly treat your lifestyle, you social life and your family. Here’s a few things to think about….. 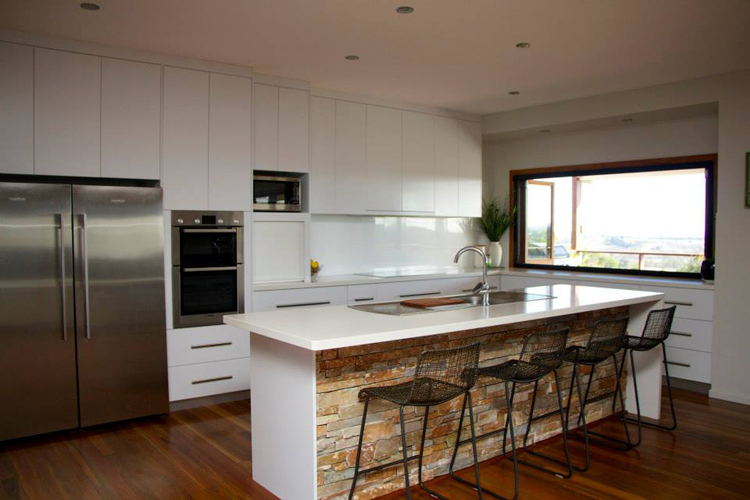 Deciding on a layout for your kitchen is one of the most important things when deciding to redesign your kitchen. It can determines how easy it is to cook, eat, store utensils and socialize in the kitchen. We will help determine, what size kitchen you need for your lifestyle, depending on your needs and wants. Bright Pink Kitchen, Black Kitchen, Purple Kitchen, Pristine White? With so many colour choices out there, selecting the right colour for your kitchen can sometimes, leave you feeling like you would like to pull your hair out. We can match in professional colours with your current wall colours or new colours and come in to our showroom. Have you seen a kitchen in Downtown Abbey that your adore? Maybe a quaint compact New York style Kitchen? We can help make certain that your style and personality is reflected in your new kitchen. A Quality Kitchen Starts with Quality Products. We only use quality trusted and recognized brands. We’ve developed partnerships with some amazing suppliers suppliers of premium products such as Blum, Ceasarstone, Corian, Laminex, Hafele, Westinghouse, and Oliveri.